Perfect for adding interest to shaded areas. 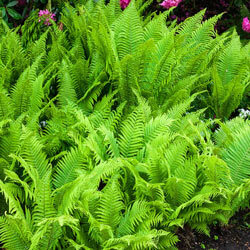 Ferns are perfect perennials for adding texture and serene feelings to shaded areas in your landscape or a shade garden. 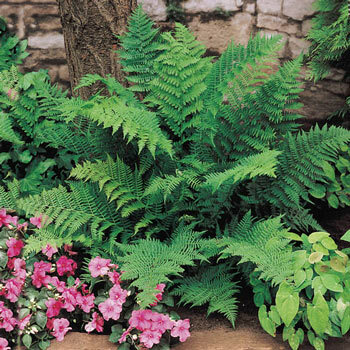 Fern plants have elegant and delicate foliage that gives your garden a cool, verdant finish. 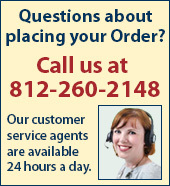 They're a perfect complement in woodland gardens or along a shaded walkway. 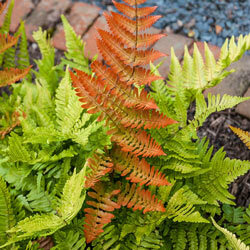 Ferns come in a wide variety of colors and shapes for a unique display in the shade perennial garden. 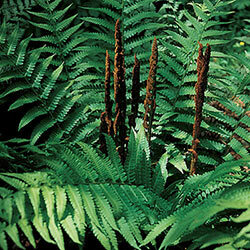 Individual fronds make exceptional additions to cut-flower arrangements and indoor bouquets. 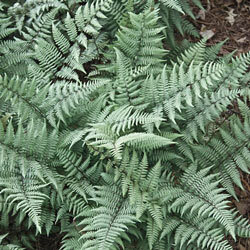 Ferns grow well in full shade or partial shade—those areas that receive some direct sunlight for a few hours each day.